Sh. Haitham Barazanji is Mishkah University’s CEO. He teaches Fiqh, Principles of Fiqh, Legal Maxims, Aqeedah and Seerah at Mishkah University. 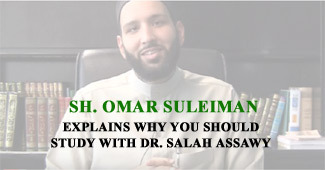 He has more than 20 years experience teaching Islamic Studies to American Muslims and in particular New Muslims, introducing them to the foundations of the faith, and discussing issues pertinent to Islam in America and the West. As an Imam and community leader in Tampa Florida, he regularly instructs local classes on Quranic Sciences and Tafseer and also serves as a marriage counselor. Sh. Haitham is also an accomplished software developer and is the President and CEO of WildBright Technologies, a company that develops information management solutions for schools and educators.